From arriving at the car park and getting your clubs out to having coffee and cake after your round, we aim to ensure that you enjoy your time at Carrbridge Golf Club. Take a seat at the top of the course and enjoy stunning views of the Cairngorm Mountains in the distance. 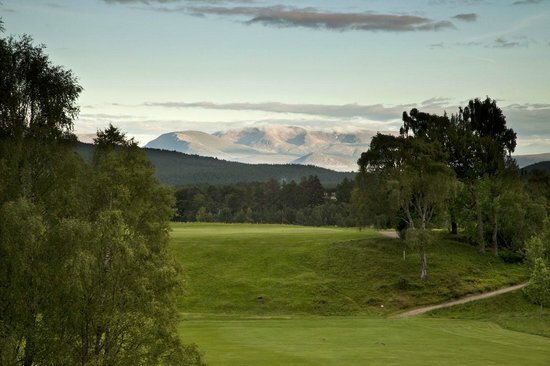 Designed by James Braid (1870-1950), set alongside the River Spey in the heart of the Cairngorms National Park. The course is renowned as a demanding test of sporting skill but also as a magnificent setting for the game. Braid’s design features 18 holes, cleverly and sensitively shaped fairways lined by birch trees, heather and broom, maximising the natural landscape and producing a beautiful and challenging course. 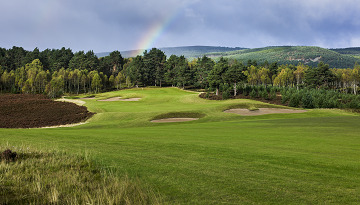 The Macdonald Spey Valley Championship Golf Course sits in the heart of the Cairngorm National Park next to the village of Aviemore. Designed by Dave Thomas and opened in 2006, this stunning heathland course is host to the European Challenge Tour’s Scottish Hydro Challenge.